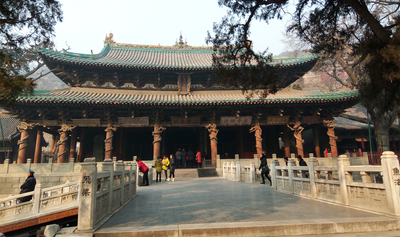 09:00AM, our guide and driver will meet you at the hotel lobby in Taiyuan. 09:30AM, Start to visit the Shanxi Museum. 13:30-15:00 start to visit Jinci Temple. 1. The Shanxi Museum is closed every monday and Chinese New Year Holiday Period. 2. Please take your passport with you for getting the tickets of Shanxi Museum. 1. Private and friendly driver for the tour. 2. Private, no smoking and clean car for the tour. 3. Private english speaking guide for the tour. 4. Entrance fee of the sights. 5. Lunch at local restaurant.